A lot of people in Ireland are not familiar with Poundies as its only really made in certain regions but its really similar to Champ, Cally, or Pandy. The main difference between Poundies and Champ is how the two are served, Poundies is a main dish whereas Champ is a side dish. Poundies is an traditional Irish recipe that is extremely cheap to prepare, very easy to make, and tastes delicious. Its a perfect dish for a lazy Saturday or when the weather outside is cold and miserable. Wash all potatoes and ensure to peel all the skin from each one. Place the cleaned peeled potatoes into a large pot of water and boil them, make sure there is enough water in the pot to cover all potatoes. Boil the potatoes until they become soft (approx cook time 40 minutes), test the softness of the potatoes using a fork. 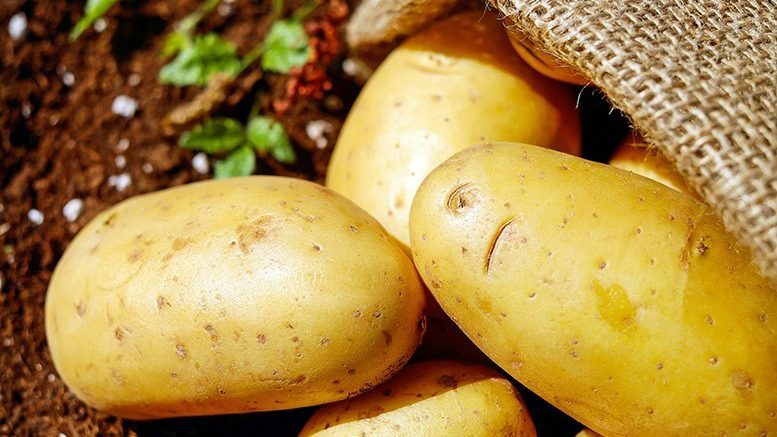 Once the potatoes have been boiled long enough drain them using a colander or similar draining utensil, ensure all water is drained from the boiled potatoes. Add a spoonful of butter and a little milk to the pot and proceed to mash the potatoes until smooth (its advisable to use a hand masher over an electronic mixer). To get the best result of mashed potatoes make sure there is no lumps or hard pieces, smooth creamy mashed potatoes taste better. Adding spring onions to Poundies is optional however it is recommended. Slice and cut the spring onions into small pieces and mix them into the mashed potatoes. One of the signatures of the Irish Poundies dish is creating a small volcano from the mashed potatoes, not only does this taste delicious the kids love it too. 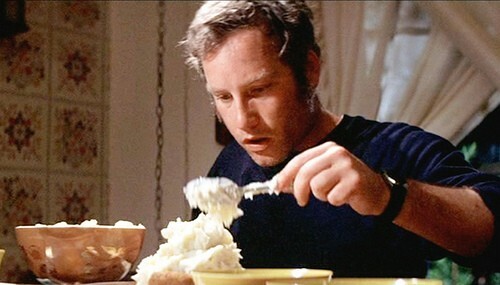 Do you remember the scene in Close Encounters of the 3rd Kind when Richard Dreyfuss starts shaping his serving of mashed potatoes into a mountain? Well, you are to do the exact same on each plate but don’t worry there is no UFO’s involved by preparing this Irish dish. Once you have molded a mountain from each serving of mashed potato create a little well and place a dollop of butter into each one, now fill it with milk. Once you have the vent or well created on the plate add a dollop of butter into the well and fill with milk. Now your Poundies are ready serve. Serve with sausages or bacon, and even boiled ham. Fry an egg and place it on top of the well. 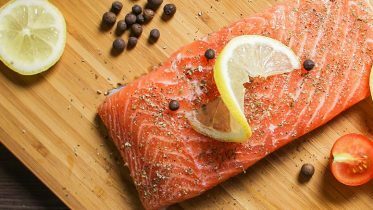 Serve with baked beans or peas.